Maintain your Brazilian blow dry treatment with Keratin Revolution. Keratin Revolution is a range of keratin infused shampoos, conditioners, serum and argan oils that help to retain your Brazilian blow dry treatment. 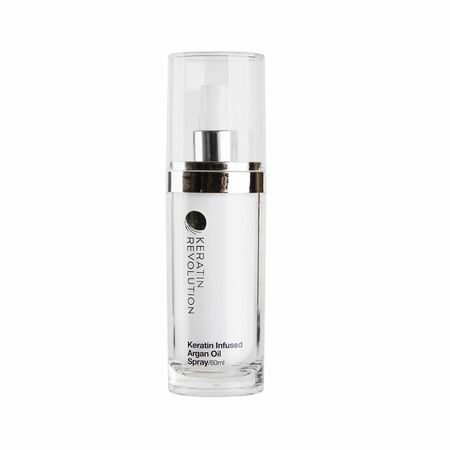 Keratin Revolution paraben-free and sodium laureth sulphate free formulas preserve and protect all keratin treated hair. Keratin Revolution products can also be used on hair that has not been keratin treated, as the products infuse keratin into the hair creating frizz free, smooth, shiny hair. Great for use on those who have hair extensions as these products do not break your bonds! Buy Keratin Revolution hair products from the UK's leading online hair product store. At Merritts for Hair, you'll find all of the latest hair care products from the top brands including Keratin Revolution products. When it comes to hair care, little can beat the quality of professional hair care products and Keratin Revolution certainly fall into that category - A range of hair products that will help give you the salon look every day. Why choose Merritts for Hair to shop for Keratin Revolution? We were established in 1972 as a hair salon in Bolton, Lancashire. We are not just an online store, we are professionals who understand hair care and the value of good quality hair products, and over the past five decades we have seen it all, including what actually works best! Our online store is years worth of experience in one place. When you shop online at Merritts for Hair for Keratin Revolution, you get the very best of everything.